SOLVE YOUR COMPUTER, MOBILE PROBLEMS. LEARN COMPUTER, MOBILE, INTERNET TRICKS, INSTALATION WITH TUTORIAL. DOWNLOAD FULL VERSION SOFTWARES, GAMES. Another YouTube's alternative site with anti-Islamic contents. Dear reader as you know YouTube was blocked due to anti-Islamic contents by PTA. As a result allot of people suffered by this action. Hence after a long struggle a group of Pakistani developers developed a YouTube's alternative website, where anti-Islamic videos were filtered. This website was IshowTube which is recently blocked by Pakistan Telecommunication Authority (PTA). Thats a bad news. Today I am sharing another YouTube alternative site which offers video database of YouTube but free of anti-Islamic videos. You can visit this site by clicking here. Following is the snapshot of the site. Today I am sharing a bundle of useful keyboard shortcuts that make work done easy & fast, moreover you can you work with these shortcuts even you don't have a mouse. 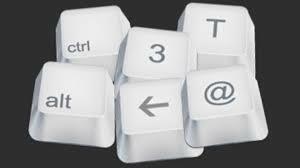 Following is a list of keyboard shortcuts, you have to try it in your daily use, gradually you will learn it and will able to work fast than before. Try it and enjoy easy & fast work done even without mouse. No proxy no software, access YOUTUBE directly. YouTube is very useful website, here we can learn & gain a lot of information about health, educational and many others. As we know YouTube is restricted in some countries, people use proxies and softwares to access YouTube which slow down your internet too. Here is a good news for all those people who don't have direct access to YouTube. 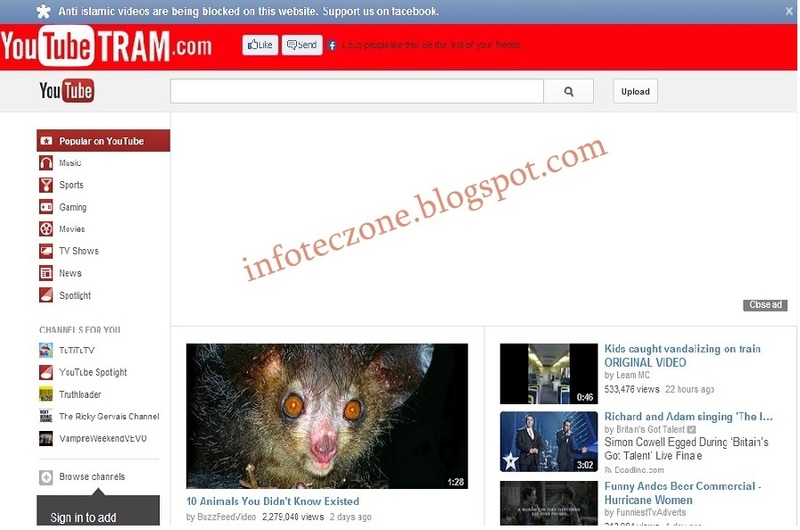 To day i am sharing the best way to access YouTube without any software 7 proxy. How??? 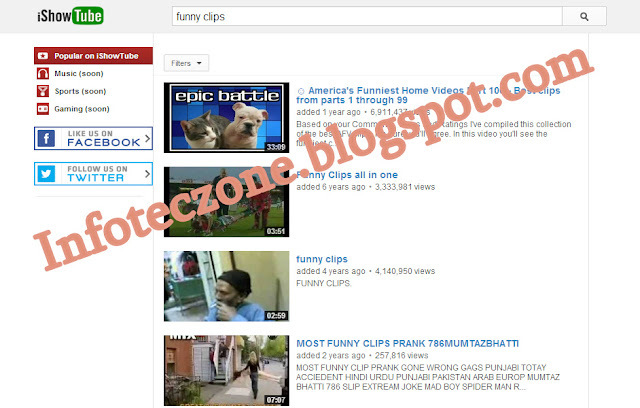 ISHOWTUBE is a site which have the complete database of YouTube. See following the snapshot of ISHOWTUBE. Today i am sharing a very useful tool with you people. That enable you to share your PC internet over WiFi. It use multiple connections simultaneously for their combined speed and reliability. You can use any combination of available internet. First make sure that you have that you have a Laptop /PC having built-in or external WiFi and Internet connection. Now you have to purchase the software Connectify Hotspot PRO (May be available free in torrent). Download and install it. After installation it will appear in task-bar, click it to run. Step1: Give a specific name to your Hotspot of your choice. Step2: Give a password to make your Hotspot restricted from unauthorized access. 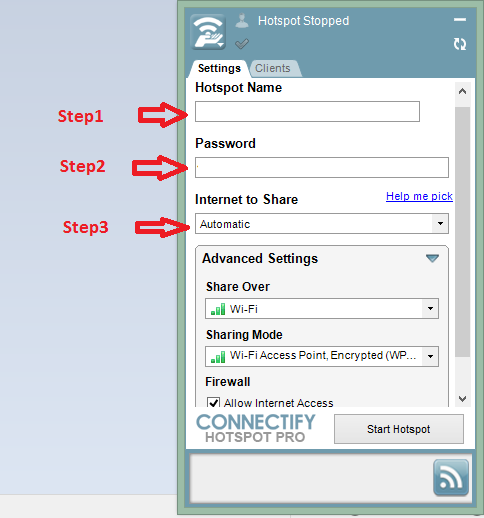 Step3: Select a specific internet connection that you wanna share over Hotspot OR let them selected Automatic. It will automatically pick the available connection. Step4: In Advance settings select share over WiFi, select sharing mode of your choice. If no need don't select anything in advance setting let them selected Default. Step5: Click button Start Hotspot, now you have turned your PC into Hotspot and it will start broadcasting. Now you can use your internet in WiFi enabled devices through this Hotspot with out having a wireless access point. Enjoy it. 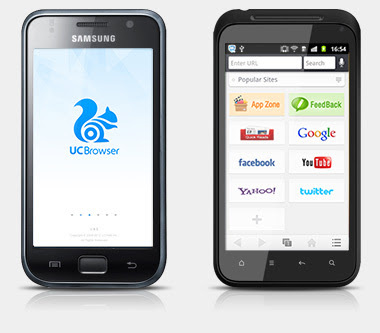 UC Browser provides you fast and smooth Web surfing experience. Adaptable configuration helps you adjust your way of browsing under different network connections, reduce data cost and speed up page loading with compression. Features: Share: Share your favourite pages or contents to Facebook, Twitter, Google+ with a simple press on Share button. Vox: Voice control over UC Browser, a most fun way to give commands. Multi-Touch: Play with UC Browser with your gestures, discover more gesture commands on it now. Download Manager: Stable and fast download speed, and file management is available on UC Browser. Quick Reads: This RSS Reader lets you follow up the trend by viewing news from NY Times, CNN, USA Today. Autofill: Suggestions will be shown once you start typing on address bar. Night Mode: Better browsing in dark environment. IDM does not work with Firefox 11??? Fix it now. Download Joikuspot premium (signed version) & make your smart phone (Symbian) as a wifi hotspot. Info-Tech Zone. Powered by Blogger.